In order to stop a meth epidemic on the Island, McGarrett and Danny go undercover as pilots, but when McGarrett is seriously wounded, Danny is forced to break their cover in order to save his partner’s life. Trapped inside a dilapidated building in Oahu’s Chinatown, Five-0 must protect a wounded Gabriel and plan their escape when enemy gunmen storm the building looking to kill him and anyone who gets in their way. When a woman is murdered in her home, Five-0 learns that one of their own has a deep connection to the victim’s young daughter. 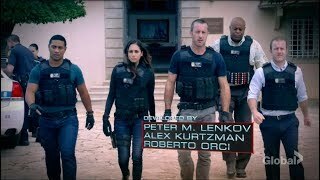 Currently you are able to watch "Hawaii Five-0" streaming on Netflix.